Er, like where is the spring? What exactly is a person supposed to do in this weather, other than eat? All I’m doing is trying to keep warm. 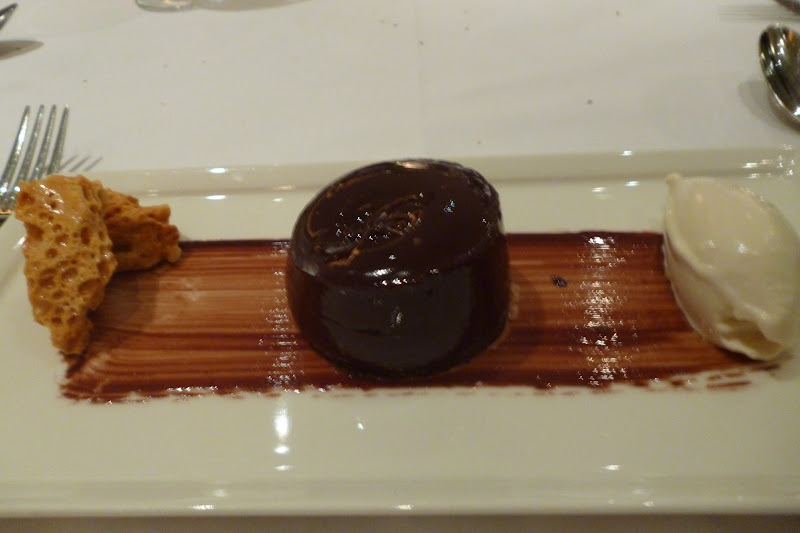 So light I needed another pudding to ground me, in the form of this ‘chocolate pallet’. Honestly, this resembles something I’d serve if it had fallen on the floor first – sort of smudged along the plate in a deliberate attempt to look artistic but fooling no-one. Delicious nonetheless. 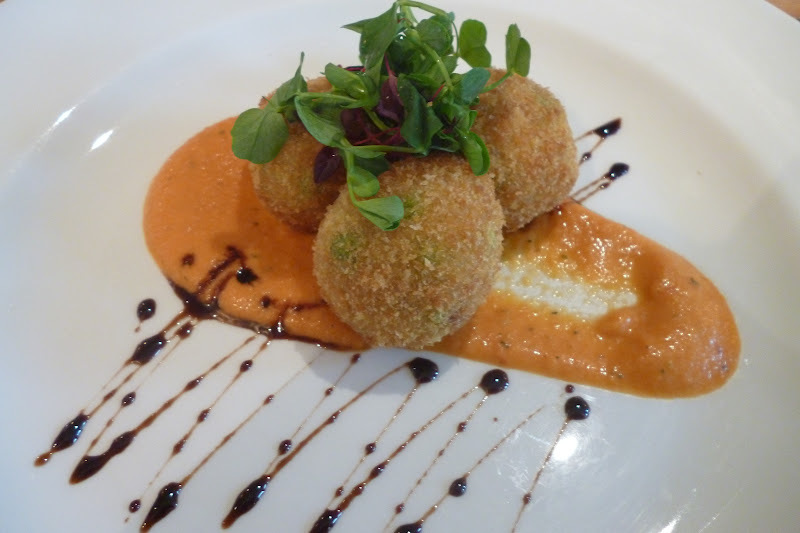 Have also been eating these tasty, crispy little balls – smoked bacon and pea arancini with a chilli sauce, at the ever-great Alford Arms. 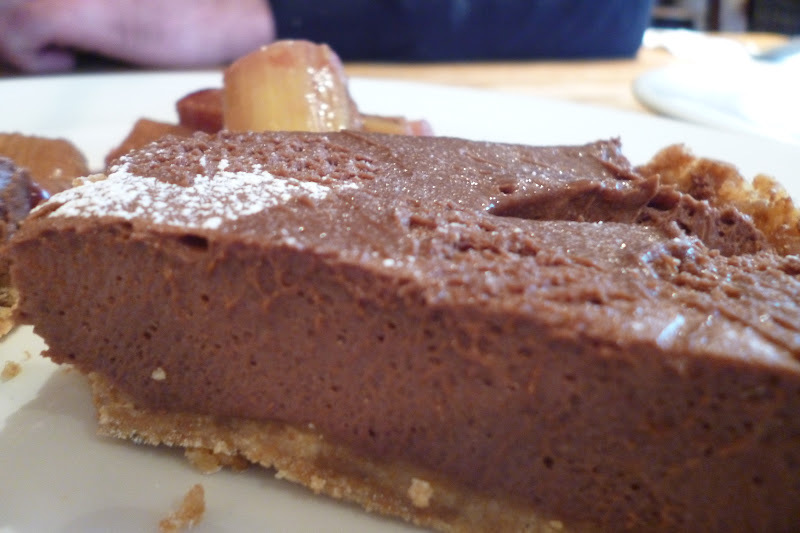 Followed by a lush chocolate tart with amaretto crumb – perfect combo of dense mousse texture with crunchy crumb base and sides. 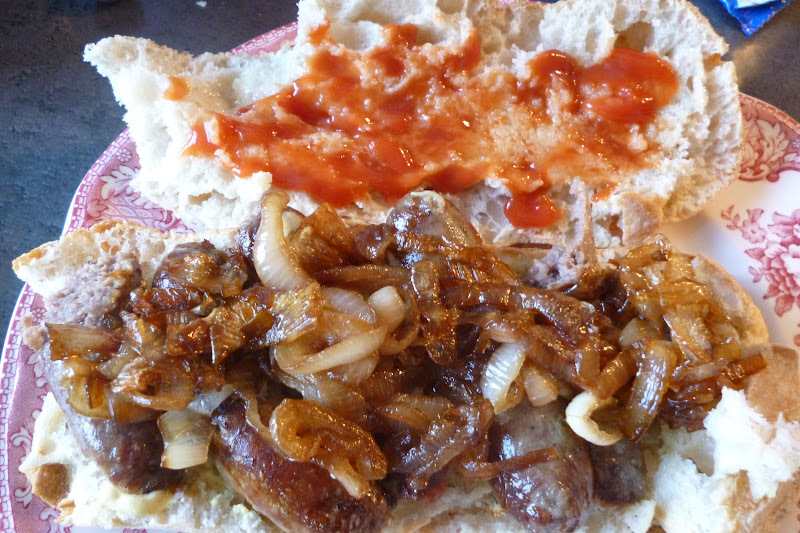 And then this, tonight – a killer home made sausage sandwich. 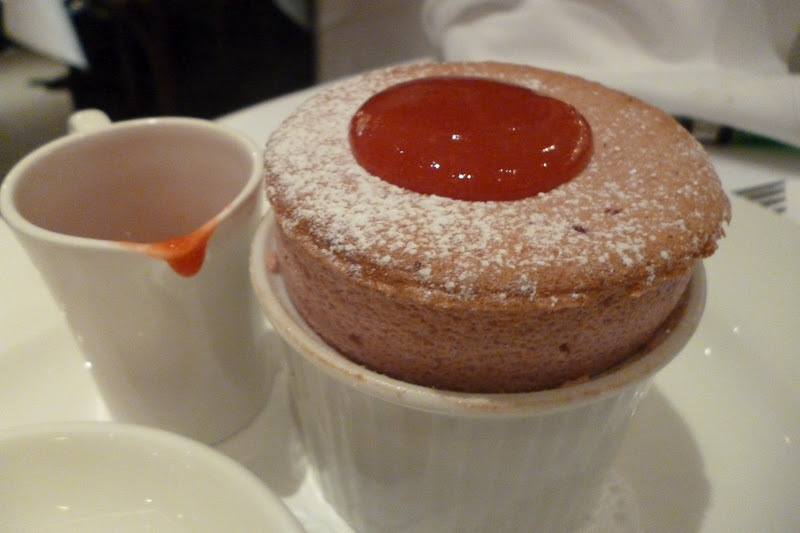 The perfect antidote to such a freezing cold Monday in May. Fresh out of the oven ciabatta, smothered in butter, with a layer of caramelised onions, mustard, awesome quality sausages, ketchup and mayo – all of the condiments, all of the time. 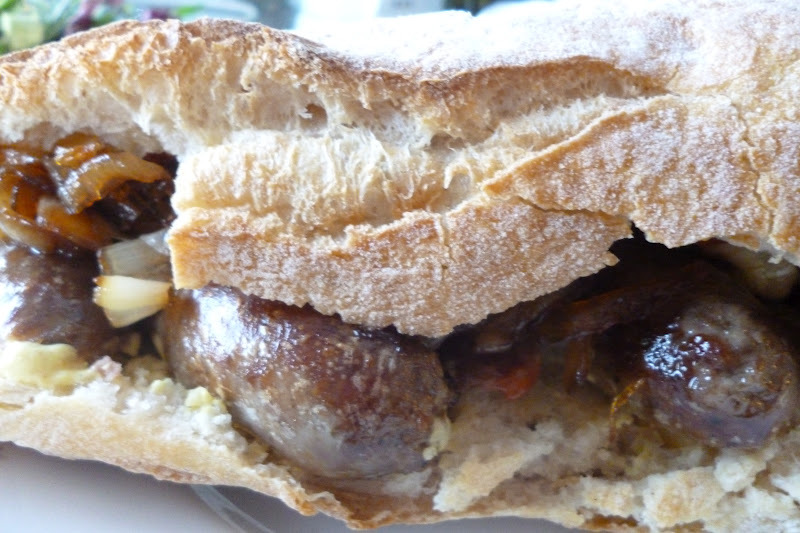 I’d forgotten how perfect and beautiful a sausage sandwich could be. Happy Monday. < Previous MEATMarket. Nice pun, shame about the rest.